I like classical music, and during and after her pregnancy, I always played clasical music to my dear Lotto. 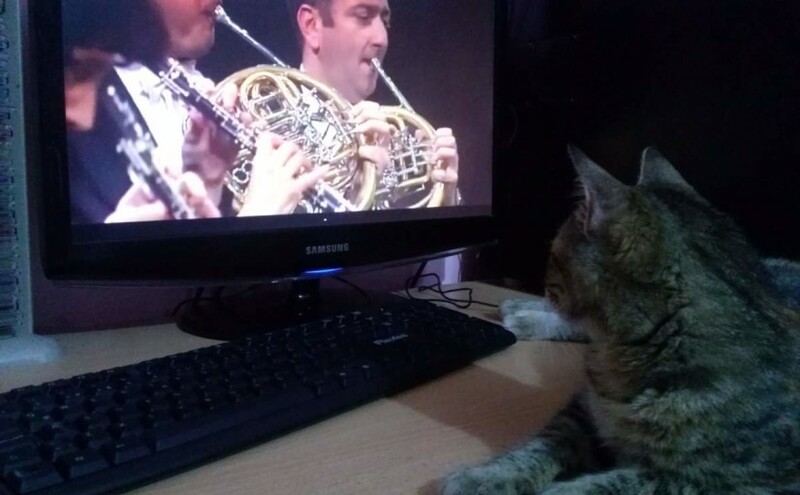 According to an article published in popular science (and that article refers to a paper published in Journal of Feline Medicine and Surgery), during surgery, cats prefer listening to classical music over other music types i. e. rock. I think it also helps during the pregnancy period. In the video below, I was listening Wolfgang Amadeus Mozart’s Eine kleine Nachtmusik (Serenade No. 13 for strings in G major), K. 525, while playing with Lotto. She was pregnant then. She gave birth to five healthy and beautiful kittens. According to Journal of Feline Medicine and Surgery, the researchers fitted 12 female cats with headphones. While they were being spayed, the unconscious cats listened to two minutes of silence, followed by two minutes each of the American composer Samuel Barber’s “Adagio for Strings (Opus 11) (see the video below),” Natalie Imbruglia’s “Torn,” and AC/DC’s “Thunderstruck.” Meanwhile, the researchers recorded each cat’s breathing rate and pupil diameter as a proxy measure of its stress levels. While the cats were listening to the classical music, their heart rates were slow and their pupils were small, indicating they were relaxed. AC/DC, on the other hand, had exactly the opposite effect, and the pop song fell somewhere in between (the cats were torn on that one, apparently). Now just imagine how happy they would be if the researchers played music cats actually like. Up next, the team wants to investigate how music affects cortisol and catecholamine levels–which provide a more direct way of measuring stress–in both cats and dogs. Eventually, the researchers hope that the right kind of music could lower the dose of anesthesia pets need to stay calm during operations, which could make surgery safer for our furry friends.